As dash cams have become more popular in recent years, the number of options available for purchase has increased in kind. Manufactures have eagerly responded to the growing demand for dash cameras and today we find many dash cameras on the market boasting a wide variety of features. These dash cameras range from the most cost effective, budget dash cams which feature only the most essential capabilities like loop recording, to extreme top-of-the-line dual channel cameras that record both the front and back of a vehicle simultaneously, some even coming with built-in WIFI capabilities that allow the user to upload videos directly to social media pages or YouTube with the click of a button. 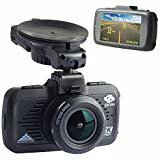 Of course, whether you choose to purchase a simple camera or one with all the bells and whistles depends not only on your budget but what you need the dash camera for exactly. If you only need it as a cautionary, preventive measure in the case of an accident, then a cheaper, simpler dash camera will do the job just fine. 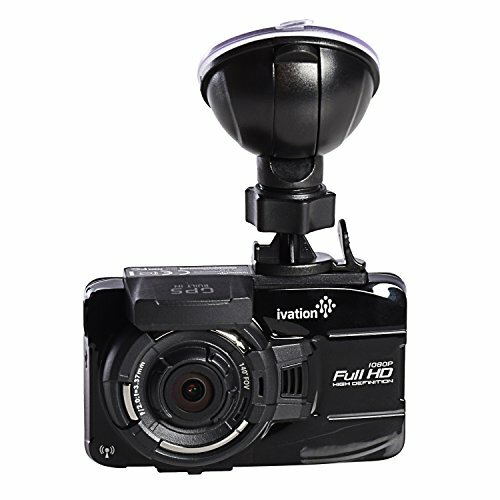 But if you need it to capture the changing landscape in high definition or capture details like license plates and road signs at night time, a more expensive dash camera will certainly suit your needs better. Because of the sheer number of dash cameras on the market today, new buyers may find it difficult to pinpoint exactly where to place themselves on the range of prices and technologies. Tech-averse people may want to go with the simplest, cheapest options, but if money is no object to you and you are a tech geek who must have the latest and the greatest, then you will be excited at he variety of high end options available today. If you are looking to purchase a high-end dash camera regardless of the amount of money you are willing to spend you should not go blindly with the one that is the most expensive without doing your research– rather you should take into account a range of user reviews and compare features side by side in order to get the most for your money. This research can prove difficult and time consuming, as there are already a variety of high-end dash cameras out there. Furthermore, as technology advances rapidly, more are coming out all the time. Fortunately for you, if you’re a gadget enthusiast or tech junkie, we’ve compiled for you here a comprehensive list of the best high-end dash cameras on the market, discussing both their merits and their drawbacks, doing all the important research for you so you can quickly and efficiently make the choice that suits your need best. Below you will find listed together our helpful guide of our best high-end dash cameras. Take your time to review the various options and you will be sure to find a high-end dash camera that you will be happy with in the long term. It’s important to note first however that more expensive products are not always equated with better quality and nothing beats a good, comprehensive comparison. What Is a High-End Dash Cam? Benefits of a High-End Dash Camera? The Z-Edge is a high-end dash camera that has won numerous accolades for its smart design and incredibly clear picture quality. If you are looking for crystal clear images, the Z-Edge delivers, filming in super HD (2560x1080p). Able to capture details like license plates at all times of day in a variety of lighting conditions, the Z-Edge records at 30 frames per second, the current maximum resolution available in any consumer dash cam on the market. It also films with a broad 145-degree lens that allows you to see more details on both sides of the road with minimal distortion. Featuring a large three-inch scratch resistant LCD screen, if you purchase the Z-Edge you can watch your videos real-time on the camera without needing to upload them to a computer or smartphone. The Z-Edge comes ready to use out of the box with a 32 GB SD card and records automatically as soon as the vehicle is turned on. Important to note however that the Z-Edge does not come with WIFI or GPS technology, so if you are looking for either of these features, you will have to look elsewhere. The KDLINKS X1 is another high-end dash camera, slightly pricier than the Z-Edge listed above. It too films in super high definition, but not quite as sharp as the Z-Edge at only 1920x1080p. Where the KDLINKS X1 outshines the Z-Edge is in the wide-angle lens. The KDLINKS X1 films in a full 165 degrees as opposed to the 145 degrees of the Z-Edge so if you really want a super wide fish angle, this might be the camera for you. The screen of the KDLINKS X1 is also slightly smaller than the Z-Edge at 2.7”, but it does boast a built-in GPS capability that allows you to check the vehicle location, speed and route of any video you record. This feature that is particularly useful if you are a small business owner with a company car or lend your car to teenagers and friends. The KDLINKS X1 also boasts superior night vision capability from its six-glass lens design, so you’ll never miss an important detail, day or night. The Goluk T2 offers an alternative to the camera designs of the Z-Edge and KDLINKS X1. Instead of a standard point and click camera shape, the Goluk T2 is built in a cylindrical tube that affixes to your windshield and can be rotated a full 360 degrees, ensuring that you can adjust the camera to your exact specifications, to film outside or inside the vehicle. While somewhat larger than the previous cameras on our list, the Goluk T2 does not look anything like a traditional dash cam, so if stealth is what you are looking for, the Goluk T2 is not recognizable as any kind of surveillance device. 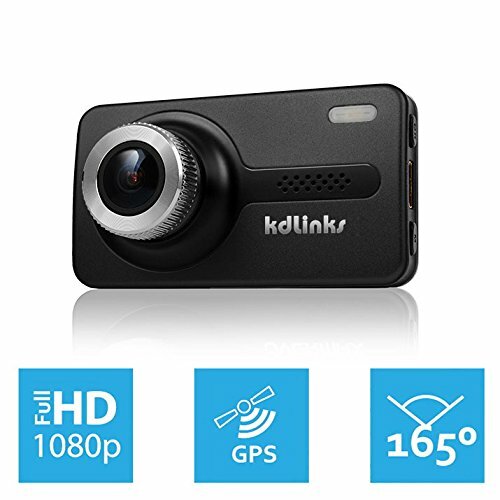 Like the KDLINKS X1, the Goluk T2 films in full HD (1920x1080P) capturing images at 2.1 megapixels in a variety of lighting conditions, so you’ll clearly see road signs and license plates at any time of the day. It also comes with WIFI technology, meaning that you never have to worry about removing the SD card to upload videos. With the mere click of a button, any of your videos can be uploaded instantly to social media or edited right then and there with your smartphone. The Goluk T2 also allows you to share live videos and comes with a wireless remote and a MagicKey which will take a 12 second video during any point of your journey. The BlackSys CH-100B is a unique dual channel recorder that allows you to film both the front and back of the vehicle simultaneously. Accidents are just as likely to occur at the back of the vehicle as at the front, and the BlackSys CH-100B has both your ends covered. The forward facing cam films at full HD, (1080P) and the back at a lesser quality (720P), but both cameras are equipped with wide-angle lens so that more of the road is under close watch. The BlackSys also comes with WIFI technology and can accept SD cards up to 128 GB, which equates to roughly 24 hours of footage. A full day of recording can transpire before the camera begins to rewrite over the oldest files fist. 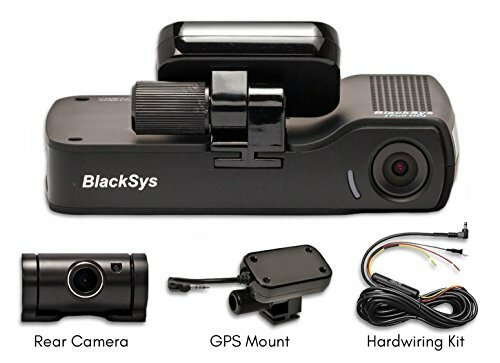 The BlackSys CH-100B is a great high-end dash camera for those who may live in extreme temperatures as it has been certified as able to operate in temperatures ranging from -4 degrees Fahrenheit to 158 degrees Fahrenheit. The EBORN high-end dash camera offers the widest-angle lens on our list, capable of recording 170 degrees of the road in front of you. This means that it can capture 5 lanes worth of traffic so that you’ll see a clear image of any object on either lateral side, objects even in line with the front wheels! Boasting GPS technology as well, the EBORN films in super HD at 2304×1296 and is equipped with a professional sports processor, the Ambarella A7, meaning your video is clearer and more stable, day or night. The EBORN can accept SD cards up to a whopping 128GB and offers a 24-hour parking guard capability that keeps watch over your car like a security camera even when the car is turned off. If your car is hit or if someone walks in front of your vehicle, the EBORN (when hardwired) initiates automatic recording so your car is always kept protected. The Ivation is one of the cheaper high-end dash cameras on our list, but that doesn’t mean it doesn’t offer premium protection for your vehicle. Filming in 1080P with HDR and high dynamic metering, the Ivation is able to automatically adjust the EV value of your picture so that you always have the sharpest image at your disposal, no matter the lighting conditions outside. The built-in GPS capability also allows for vehicle tracking so you always know where your car has been and precisely where incidents have occurred on your route. Furthermore, like the EBORN, the motion detection software of the Ivation keeps watch over your car even when it is parked. Whenever the Ivation detects movement outside the vehicle or vibration against the car itself, it begins recording. This guarantees that if your car gets hit in a parking lot while you are inside shopping, you’ll still have a clear view of the perpetrator and the vehicle in question. The Spy Tec A119 is another cheaper high-end dash camera on our list – close in price to the Ivation listed above. 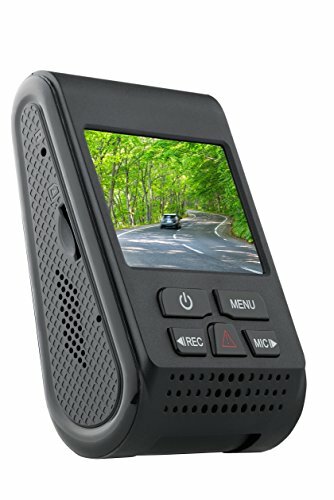 Despite its low price point, the Spy Tec A119 still films in full HD and boasts a unique stealth design that allows you to hide the dash camera easily within your vehicle. Attachable via an adhesive mount as opposed to suction cup, this means that the Spy Tec A119 never becomes a distraction to you while you drive. Similarly, it remains invisible to prying eyes outside the vehicle making it less likely to be stolen. They Spy Tec A119 also comes equipped with G-sensor technology that automatically locks any files that were recorded whenever the car detected unusual motion or vibration. This means that your most important files (those recorded in the instance of an accident) are there to stay and cannot be accidentally deleted or written over. The Binwo is the cheapest high-end dash camera on our list. It is easy to use and easy to install, simple and straightforward in its operation. With no added bells or whistles or unnecessary technological trickery, the Binwo is a great camera for those that want only the most basic of functions, but still require excellent quality from the video itself. The Binwo films in full HD and with a super wide angle that covers an impressive 170 degrees of the road in front of you. Equipped with G-sensor technology, it may be important to note that the Binwo can only accept SD cards up to 32GB. With that said, this should not prevent you considering it as an option for a high-end dash cam, as it still promises continuous loop recording, rewriting over old files first so you never miss an important moment on the road. 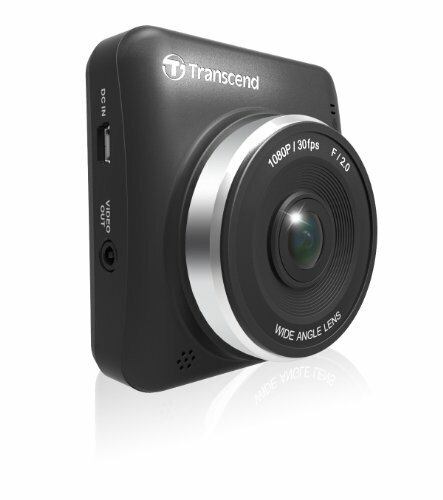 The Transcend is a high-end dash cam ready to use straight out of the box. With no complex installation required, the Transcend comes with a 16 GB SD card and is easy to install. Simply mount the suction cup onto your windshield and plug the Transcend into your car’s lighter socket, and the Transcend will automatically begin recording each time you start up the vehicle. The camera is shaped like a square, small and compact enough to fit into the palm of your hand, but strong enough to still make it worth your while. It films in full HD and features wide-angle technology, capturing more of the road as you drive. As the Transcend comes with WIFI technology, you can either choose to watch playback on the 2.4” LCD screen or watch it on your phone or tablet or on YouTube or social media. The Vantrue X1 is a more expensive alternative to the Transcend above, which films in slightly better quality (1920x1080P). It’s super compact size is attached to the vehicle via a 360-degree rotatable mount, meaning you can position the camera precisely where you want it. The Vantrue X1 boasts superior night vision capability, automatically adjusting exposure as you move through a variety of lighting conditions. With an excellent parking mode function as well, the Vantrue X1’s motion detector begins recording outside the vehicle whenever it detects people or objects moving 10 meters or less from your vehicle. This can be both a blessing and a curse as any small movement might trigger this automatic recording, but in supporting SD cards up to 64 GB and with continuous loop recording, you never have to worry about an incident going unnoticed. The DDPai is another high-end dash camera on our list with a cylindrical design similar to that of the Goluk T2. 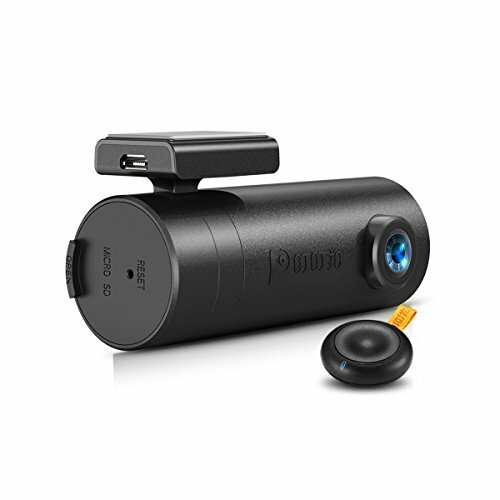 It is a tiny, hidden dash camera rotatable up to 300 degrees, meaning that the DDPai can be used traditionally to record activity outside the vehicle, or can be rotated and faced to the vehicle’s interior so that you can surreptitiously record passenger activity or the rear of your car as well. The DDPai films in full HD (1920x1080p) and can hold SD cards up to 128 GB. It also comes with WIFI capability and an application that allows you to view your recording live or edit and upload footage instantly to social media or YouTube. The night vision recording of the DDPai is extraordinary in its precision. Another great feature is that the DDPai even comes with a remote snap button so that you can take a picture of what the camera sees as you drive with the simple click of a button. Here we are defining a high-end dash camera as one whose retail price is typically between $100 and $200, although different retailers can sell dash cameras at varying prices, especially when considering discounts, sales and other special offers. Rather than price point, a high-end dash camera is better defined by the quality of the picture and the range of features that comes with the camera itself. 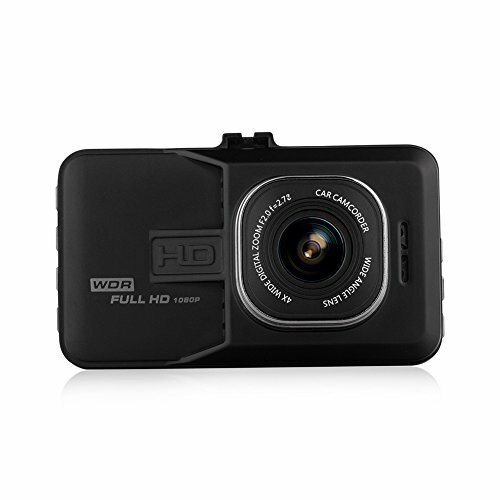 All high-end dash cameras on our list film in full HD and because of this, they can typically accept larger SD cards. All have loop recording and superior night vision capability and most offer wide-angle technology, which allows you to capture more of the road as you drive. Finally, all our high-end dash cameras never require the user to do anything other than turn on the vehicle to begin recording. Furthermore, all our high-end ash cameras come with G-sensor technology that allows the locking of any files recorded when an unusual vibration within the vehicle has been detected. The old saying, “you always get what you pay for,” exists for a reason. Cheaper products are often made with cheaper materials and because of this, are more likely to break or to arrive defective. With a high-end dash camera you should remember that you are investing in the longevity and the quality of the product, both inside and out. The cheap person usually ends up paying twice – once for the first time the product arrives, and then again for the upgrade or the replacement. In buying a high-end dash camera you are ensuring that the product you buy will work as advertised, and if it doesn’t, that it comes with a good warranty so you can return a defective product to be replaced or repaired. In addition to the quality and lifespan of the camera itself, when buying a high-end dash camera you get all of the features you might expect for a higher price tag and more. For instance, take superior video quality. This not only gives you a more aesthetically pleasing picture in the event you want to upload your cross country drive to YouTube or social media, but in the unfortunate case of an accident, a higher end dash camera is going to ensure that you capture the minute details of the incident like a license plate or the facial features of another driver who may have tried to flee the scene. High-end dash cameras promise excellent video quality, not only during the daytime when conditions are good, but also in inclement weather or at nighttime when conditions are less than optimal. Remember, you are just as likely (or more!) to be involved in a traffic incident at nighttime, and it’s true that cheaper dash cams struggle in this regard. Some cheaper alternatives give blurry recordings at night, while others fail to record the scene at all unless there is a significant amount of supplemental light. To ensure that you are covered all times of day in all conditions, a higher-end dash cam will give you the peace of mind you crave. Along with filming in higher quality, high-end dash cameras also tend to film more of the road in front of you. Any high-end dash camera worth your while will come with a wide-angle lens that allows you to capture both sides of the road and the lateral landscape as well. This is important for a number of reasons. For one, it ensures that if you are involved in an oncoming accident or get T-boned, you have an exact record of how the other car came into your line. You can also capture debris or objects that caused you to swerve and any other conditions on either side of the road that may have contributed to an incident in question. And if you are an accident junky or simply love to capture more of the changing landscape as you drive, these wide-angle lenses give you more bang for your buck. The other issue with high-end dash cameras is that they tend to look more aesthetically pleasing. Cheaper dash cameras are often made from cheaper plastic material and tend to be bulkier and clumsier. High-end dash cameras are usually slimmer and made with higher quality materials. A better design means that you don’t have to have an eyesore in your vehicle in order to remain vigilant as you drive. Other features of high-end dash cameras include GPS technology that allows you track where you’ve driven, especially useful if you lend your car to others or own a company car that is passed between employees. With a high-end dash camera’s GPS, you can ensure that your car is where it is supposed to be at all times, and you can even track the speed of the vehicle as it moves. WIFI technology, another feature of some high-end dash cameras, allows you to control the settings of the camera from your smartphone so you never have to mess with the dash camera itself and can control all features remotely. WIFI also allows you to upload your videos to social media directly or to YouTube or email them to yourself – a useful feature if you need to submit your videos as pieces of evidence to law enforcement or your insurance company. Finally, the last benefit of high-end dash cameras, is that some are dual channel recorders meaning that they can film both the front and back of the vehicle simultaneously. Usually the rear camera is of a slightly lesser quality than the front facing camera, but all the same, it might give you great comfort to know that both ends of the vehicle are under watch. It’s equally likely that your car will get hit from behind as it would the front, especially when considering the dangers of tight locations like parking lots or bumper-to-bumper traffic. In the end, if you can afford a high-end dash camera, you wont be disappointed with your purchase. These cameras promise higher picture quality and a number of excellent add-on features which ensure your vehicle is protected under any condition, at any time of time of the day. Of course, if the price range of these high-end dash cameras overwhelms your budget, you will still be able to find cheaper versions that work just fine. 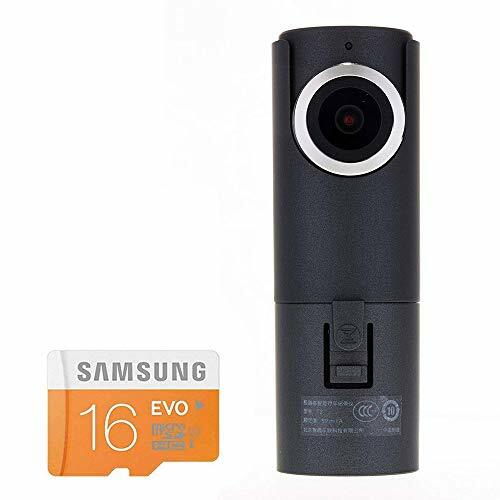 But if you are a technology buff who needs to have the latest and the greatest, each of the high-end dash cams on this list will give you exactly what you are looking for. You should always consider a high-end dash camera as a kind of investment: one that could pay off big for you in the long run. High-end dash cameras may cost you a couple hundred dollars more now, but they could very well save you thousands when it comes to proving your innocence in a faulty insurance claim or in a court of law. By showing clearly that you were not at fault, you avoid having to pay large deductibles and the inevitable spike in your monthly insurance rates. Similarly, if you can prove to a court of law that you were not at fault in a traffic violation, you could get yourself out of a ticket that might cost you hundreds if not thousands of dollars depending on the incident in question. In the end, what high-end dash cameras offer you is a kind of insurance against these potential situations. In many instances, cheaper is not always better, especially when it comes to something like technology. With technology advancing so rapidly, a lower end dash camera may well become totally obsolete in a couple of years! Higher quality tech products are likely to last longer and stay ahead of the advancing curve. Sometimes spending more money will actually save you money in the long run.